Harvey Soto is a native of New York City, NY and has been living in Atlanta for the past 15 years. He received his B.A in Political Science & International Affairs from the University of Georgia in 2015. He is now the Program Coordinator for Civic Engagement and Community Organizing for GALEO. 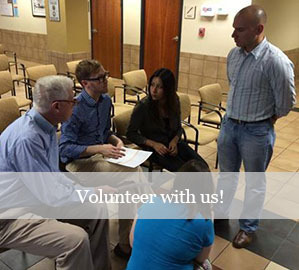 Harvey is the Program Coordinator for Civic Engagement and Community Organizing for GALEO. In this role, he is responsible for GALEO’s ‘Get Out the Vote’ initiative, election canvassing training, canvassing, phone banking, high school outreach, citizenship workshops, and voter registration drives. Harvey also manages the organization’s volunteers and social media communications. He works with coalition members to determine and address legislative priorities, attends coalition and County Board of Elections meetings, and meets with legislators regarding Latino issues in Georgia. To-date, Harvey has helped lead the Georgia Latino Vote team to knock on 10,000+ doors and register 1800 people in 2016. In 2017, Harvey and GALEO were involved in election awareness for the special election in Congressional District 6 and local Municipal Elections. In Gwinnett which is one of GALEO’s priorities for the Latino electorate, the implementation of federally mandated Bilingual ballots was first rolled out and monitored by Harvey and the GALEO team. 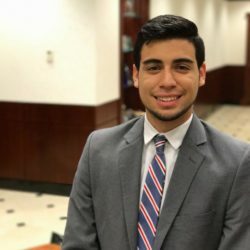 Harvey Soto also received the “Future Empowerment Leader” award from the League of Women Voters of Georgia in April 2018. He received this award through his advocacy and voter registration efforts in in the Latino Community.